"What do I do to make physical activity fun, and how can I keep exercise program participants enthusiastic?" These are common questions among activity directors and program administrators who work with older adults. 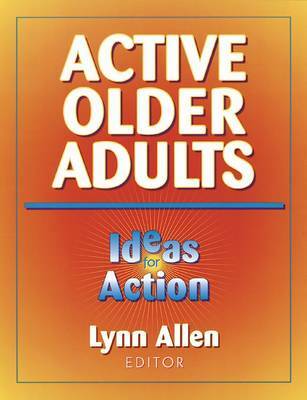 Now there are some ready answers in Active Older Adults: Ideas for Action. This excellent manual provides a collection of 15 award-winning fitness programs for older adults. The ideas and activities, which have been gathered from programs across the country, are presented in a consistent and easy-to-understand format. Directions for implementing the programming ideas are included, as are sample charts, brochures, registration and safety forms, newsletters, and a listing of resources that will ensure a successful program. The book presents a full spectrum of approaches to helping older adults get and stay fit. Some of the programs provide introductions to basic fitness principles while others explain how to lead older adults in specific activities, such as strength training, line dancing, and water walking. There are also low-stress programs for individuals with cardiovascular or joint problems. A common thread woven through all of these winning fitness programs is the issue of social support. The book makes it clear to program leaders that the support and encouragement of peers is vital to the success of participants. Active Older Adults is the only resource activity directors and program administrators will need to start a successful exercise program for seniors. It's filled with programming ideas and lots of helpful resources.